Since I went on a refreshing retreat this past weekend, I was overly kind and compassionate irritable with the kids yesterday. Funny how it often works out that way. I remember in high school coming home on retreat-high, only to be terribly rude to my family. Mommy, Papa, you want to chime in with an "Amen!" on this? Thankfully, I was reminded to worship rather than fear or worry about the myriad things to be done to both catch up from the weekend away and prepare for our upcoming trip. Focus on the Lord always changes our perspective. But those reminders didn't turn me completely around. I had to choose to worship so. many. times. yesterday! And to apologize to my kids. Later in the day, we had some errands to run. 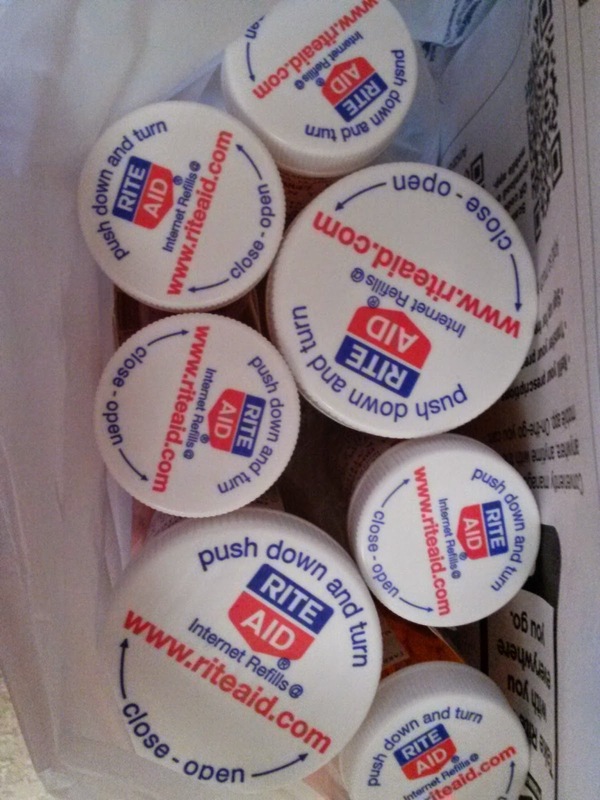 One was a stop at RiteAid to pick up the 4,000 bottles of pills we need to prepare us for malaria and such. (Praise God, it was SO MUCH cheaper than we expected. Woo-hoo! But I digress....) The kids love the blood pressure machine by the pharmacy, so I took my blood pressure for them so they could watch it work. Man, that thing hurts your arm! I finished and Brian put his hand in it as I pushed Katherine away in her stroller, Elizabeth walking by my side, to head off to our next stop. A woman was approaching to take her blood pressure and I told Brian to step away so she could. She was really unkind to him, rudely mumble-talking about how those machines aren't for kids and kids don't need to take their blood pressure. Brian missed it, but Elizabeth certainly sensed the unkindness of the woman's tone. Strange moment. Most folks are kind to children; this experience made me glad for that. When we were checking out, I learned it was not just that the woman disliked children. She was at the register next to us at the front, where I was paying for a few extra things. The gentleman couldn't offer her the card discount on something to make it 59 cents rather than 99, because RiteAid doesn't do the courtesy card thing. So she called him an idiot and left the store! I was interrupted by grace that God keeps me from giving full vent to my anger (Proverbs 29:11) and forgives me for my irritability and rudeness, which are no less offensive to Him and others than the behavior I observed at RiteAid. That was not the end the day's encounters with anger, though! On our way home from all of our running around, we stopped at a crosswalk near campus to let some women cross the street. The cars coming the other direction also stopped. A pedestrian, coming from that side, decided to take the opportunity to cross between two cars rather than the crosswalk. When the car was able to go, it couldn't because the fellow was still in front of him. The driver honked. The pedestrian swore at him. They exchanged words and rude gestures for several seconds. Anger, how quickly you flare! Our pride is so easily provoked. For the third time that day I was forced to think about how our anger hurts God, other people, and ourselves. I was interrupted by grace that God can and does forgive all of that garbage that is in sinners who trust in Christ. Among other things, all the anger - past, present, and future - was atoned for on the cross. We can arise in new life, no longer defined by our sin, but by Christ's righteousness. Friends, I really, desperately, fiercely want the end of dealing with my sin! I long for heaven. For the time being, I'll lean on Christ. Won't you join me? How good to repose at the foot of the cross, where justice and mercy meet! Don't forget about the giveaway! I want to send YOU a treat!! Leave a comment to let me know how many times I should put your name in the hat. Bruce and i were interrupted by grace today when we got to the airport at 5 am! I was to travel to Atlanta and he to Detroit after which we would meet in Pgh. He decided to ask if it would be possible to get us both on the Detroit flight… ( esp. since the heavy storms were going through Atlanta).. The lady checked for a while and said, "well, i can get you on one leg but not the other"… to which we both replied.. "That's ok.. we just thought we'd try. NO Anger! As she proceeded she said.. "oh wait… maybe i can! "… We didn't get to sit together but we were on the same planes. It totally uncomplicated our day. Home now and Bruce is off to work.. But it was a great interruption of God's grace for us today! Thankfully, I don't think the kids noticed the car/pedestrian incident. I watched it mostly in my rear view!